I'd like to thank God, the great people of Minnesota and the Wu-Tang Clan. 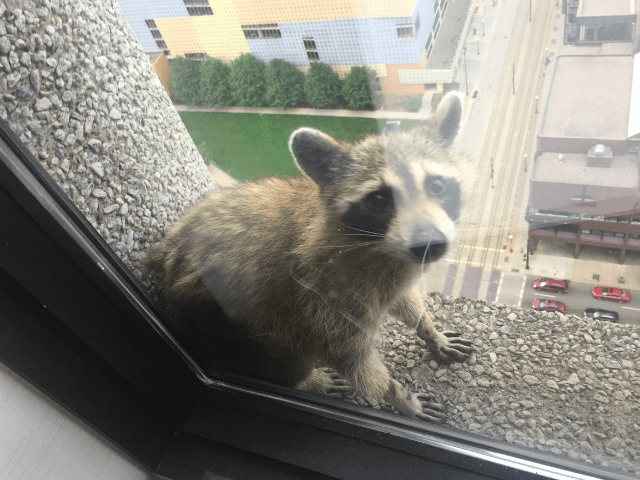 A daring raccoon captured the hearts of many social media users around the world as he climbed a skyscraper in St. Paul, Minnesota, and lived to tell the tale. The furry creature began his harrowing climb after maintenance workers took the animal off the roof of another office building in the city. But the raccoon, who could not be deterred, set its sights on scaling the UBS tower, one of the tallest buildings in St. Paul. As more people began to see the furry creature’s exploits on social media, one person got creative and started a Twitter account on behalf of the raccoon. The account, called “the MPR Raccoon,” quickly gained a following among locals and celebrities alike. The Twitter page had 3,166 followers as of Wednesday.